Farm Camp in Northern California. 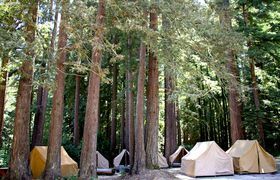 We are on 500 lush acres of redwood trees, creeks, lakes, and rolling coastal foothills, 1.5 miles from the Pacific Ocean. We are nestled in beautiful Sonoma County located in Northern California.